Picked this up the other day. Other than the components being rusty, there was very little wear on the them. shame the original shifters were replaced. I've stripped it down and removed the stock bb, thanks to plusgas and the proper bb tools. I built one of these up previously as it was my first MTB bitd (http://www.retrobike.co.uk/forum/viewto ... mp;t=18909) and tried to keep it original but although I did a good job of that, it was a bit small and so wasnt ridden. I plan to maybe fit it with a complete STX groupset, something a bit different. 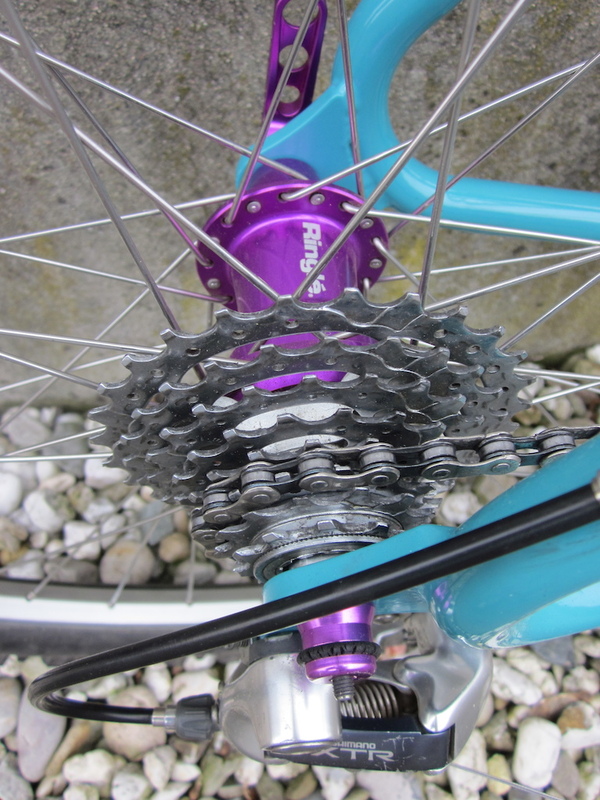 Sourced an original 1994 STX groupset, and some nice STX hubs laced to 117CD rims and rebuilt to a nice little ride. What a wicked makeover, awesome ! Great job, love the colour..
Nice work that looks awesome!